Valley View Farm (formerly Carswell Farm on some maps) is just off the A35, about 5 miles north of Lyme Regis. Around three and a half hours drive from London via the M3 and M27 or with easy links from the M5. Please do not use Sat Nav, as this will take you to the wrong side of the valley. 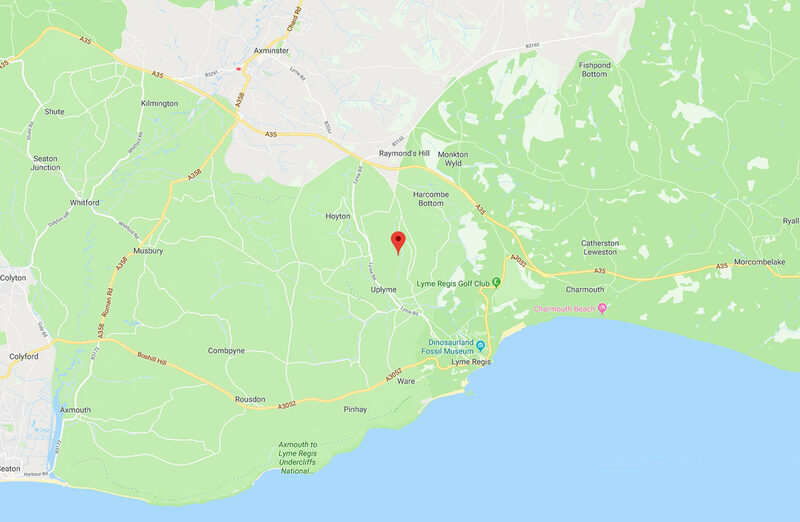 Directions: A35: From an easterly direction, take the left-hand turning to Uplyme, a mile or two beyond the last sign to Lyme Regis and immediately after Hunters Lodge pub. From the west, turn right a few hundred yards after the last Axminster turnoff and immediately before Hunters Lodge. Drive downhill for a couple of miles, through the hamlet of Yawl. At the bottom of the hill there is a mini-roundabout. Take the first exit into Cooks Mead. After 50 yards and on the bend, turn left into Lime Kiln Lane. After about 25 yards, take the first right into the drive (dustbins on left of entrance). After about half a mile, pass a white bungalow on the left. Continue uphill for a further half mile until you reach dairy buildings on the right and a cattle grid on the left. Drive over the cattle grid and continue uphill. The Barn is on the right and the car park just above it. There is wheelchair access via the front door, and you may prefer to unload luggage here before parking. For the Annexe, please park in front of the stables. Take the path between the Barn and the stables, and go through the gate into the front garden of the farmhouse. You’ll see the Annexe on the left-hand side of the building.